This is going to be an odd post, since the Fat Paddler is, in fact, also a man. But you’ll understand shortly. 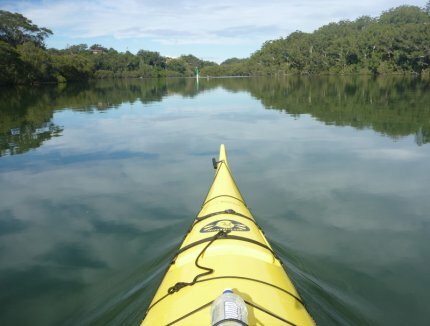 I was paddling on the Lane Cove River the other day in beautiful conditions. Glassy waters, the sun on my back, no wind at all. 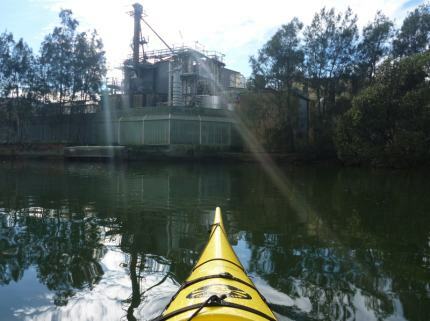 I paddled past dogs having a swim, passing turtles, fast-moving racing kayaks and slow-moving fishing kayaks. 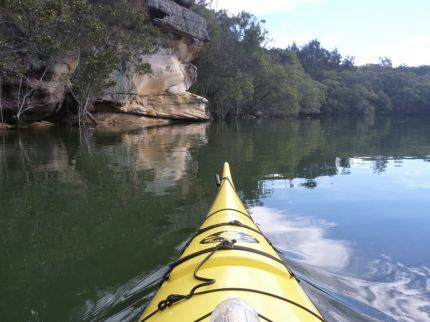 I passed through the Lane Cove National Park and got to enjoy the interesting rock formations and cliffs. And then I turned a corner and was greeted by another of Man’s monuments to progress. As you can imagine, it did it’s bit to ruin my paddle. I’ll let you decide…. ..........to this (not 200m away). Yuck. Hope this is not pumping crud into these beautiful waters. The Chesapeake Bay and its inflowing rivers (including the Shenandoah and the Potomac) are recovering sporadically from decades of riverside industry and agricultural effluents. Sometimes it’s better, sometimes it’s worse, and the watershed states do not protect the rivers or bay consistently (depending on the state of the economy, and the influence of the industry in question). So we enjoy what we can, protect what we can, and work to influence the politics for the better. 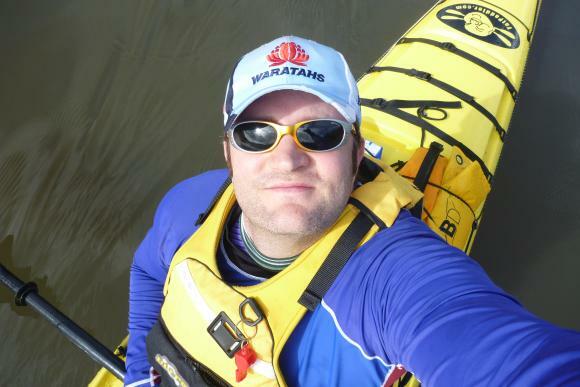 Keep paddling! 🙁 California fights the dairy industry pumping waste into our rivers. The California Delta is not healthy and is quite polluted. So sad. Bristowmom is right, enjoy what we can – protect what we can – and work to influence. Research it and find out their policy on dumping then put serious pressure on the company to clean up. Great Photos. Looks pretty clean now..wasn’t in the late 90’s. Flour all over the place. DeBono had a neat partial solution to river pollution by factories in North America. He suggested that they be made to put their intake pipes downstream of their outlet pipes. Elegant.